This new geolocation and augmented reality game will have you exploring your real life surroundings as you hunt for ghosts and battle against other users. 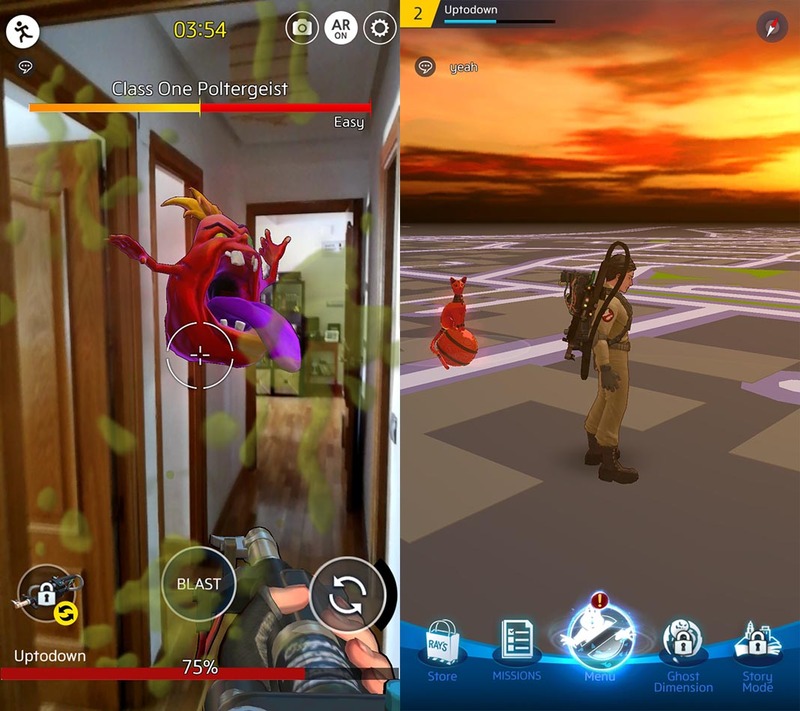 As we said a while back, a new wave of games involving geolocation and augmented reality is taking over the mobile ecosystem. 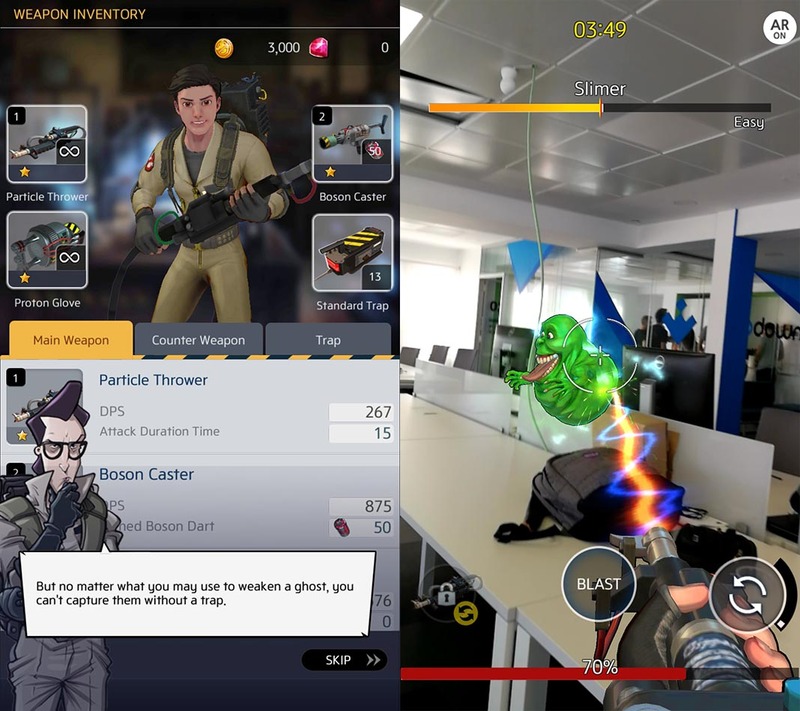 The recent The Walking Dead: Our World, is now joined by Ghostbusters World, a title endorsed by Sony Pictures with official licenses from the brand that makes use of the ARCore platform from Google. In other words, it rides on the coattails of Pokemon GO to offer a title with similar features, but adding a lot of details to the original formula. After months in its testing phase, it’s finally available for download. At this point, Ghostbusters is a force to be reckoned with in popular culture, both for us, and our children. This fact is really the main strength of this game, although the amount of feels it gives us are only about halfway to what Pokemon GO has to offer to true Nintendo nerds. Here, the idea is to capture 150 ghosts taken straight out of the movies, animated TV series, and comics. This includes Stay Puft, the Marshmallow Man, and even the ghost from the library to remind us that we’re still kids at heart. The basics are all here, you have to wander around your environment in search of ghosts to capture with your proton pack. The minigame to do this is somewhat more elaborate than throwing a pokeball. Here you have to reduce the enemy’s life by dragging it with your weapon toward your monster trap. In addition to weakening it by lowering its life points, you can shake it around the setting, as well as dodge its attacks or even return them. It’s a satisfying experience, to say the least. No gyms here, but there are portals to the ghost dimension. Monsters will come out of these, but they also serve as an entry point to use the creatures you capture to fight against other players’ creatures. Here’s where the collecting aspect comes in, since you can enter your team of four creatures into different challenges like PvP or the missions in story mode in a sort of turn-based SRPG. 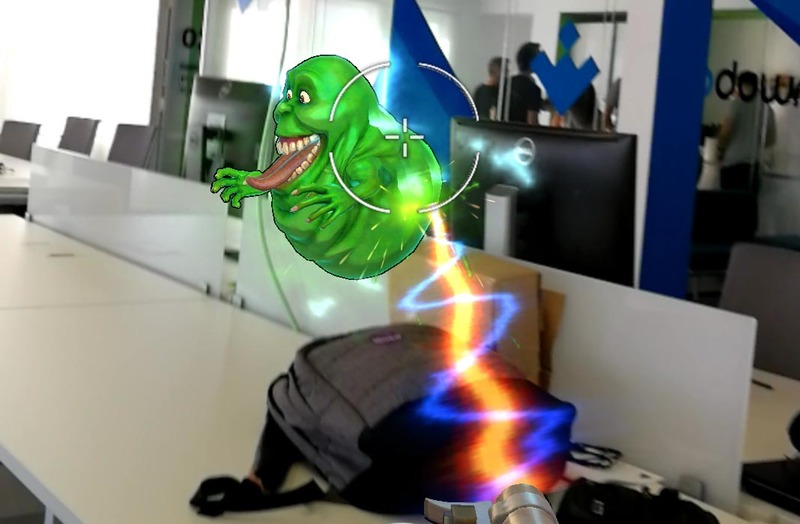 Once you reach a certain point, you’ll unlock the story mode where you’ll find yourself immersed in different problems throughout your journey to become the newest ‘official’ Ghostbuster. A big part of the narrative is created by Erik Burnham, the author from IDW who’s worked with the modern-day Ghostbusters comics as well as other 80’s pop culture icons like Back to the Future and Teenage Mutant Ninja Turtles. The thing is that it’s not all about hunting down monsters. With the resources earned you can improve your equipment, whether it’s more power for your tractor beam, or extra protection for your suit. You can eventually buy new, more powerful weapons or with cooldown time. Enough beating around the bush; Ghostbusters World is a better and more complete game than Pokemon GO, although it’s highly doubtful that a third-rate ghost who appears in four pages of a minor comic could possibly compete against a Charmander. 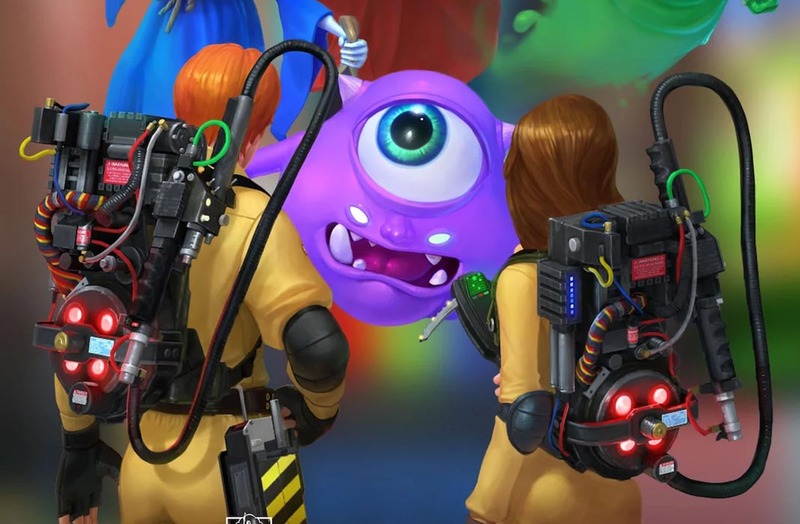 That’s where the nostalgia factor comes in as you dedicate hours of your time to searching for and capturing ectoplasmic creatures. My 14-year old self would have been ridiculously addicted to this game. Although the same could go for my 35-year old self if I’m not careful.